Dance Migration Entertainment specializes in authentic Brazilian entertainment, bringing the spirit of Samba and Brazil to life at your next event. Dance Migration has been providing Brazilian entertainment to private and corporate clients throughout the GTA, South America and Europe for over 10 years. We are dedicated to providing authentic Brazilian samba shows and bringing the true spirit of Samba and Brazil to life at your next event. Engaging, entertaining and stunningly beautiful! — Jaylene M, RIMOWA North America Inc.
specializing in Rio De Janeiro Samba Styling. Samba No Pe classes and performance workshops run weekly. Additional Samba freestyling classes run on Sundays at the Conservatory of Arts, Toronto. Check out our upcoming guest workshops! 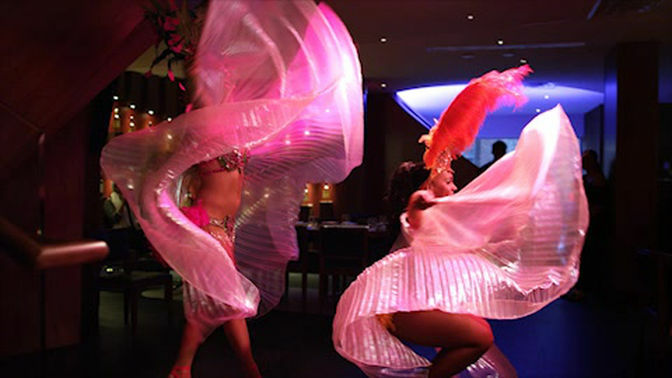 I encourage anyone to try the classes and see for yourself, the magic in Samba. Dance Migration is the exclusive entertainment provider for all Copacabana Brazilian Steakhouses, performing over twenty shows every weekend in downtown Toronto, Vaughan and Niagara Falls. Come see us every Friday and Saturday night!